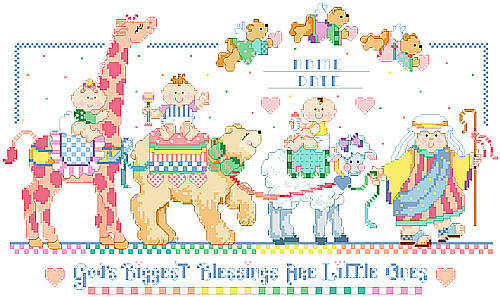 Celebrate a very special date with this brightly colored birth announcement. Designed with plenty of space to customize it using a newborn's details, it makes a wonderful memento and charming piece of nursery décor. The perfect gift for any of baby boy’s or girl’s special occasions, from baby showers and first birthdays to baptisms and holidays. Contents: Stitch Count 209w X 123h on 14 ct, Finished Size 14-7/8" X 8-3/4"